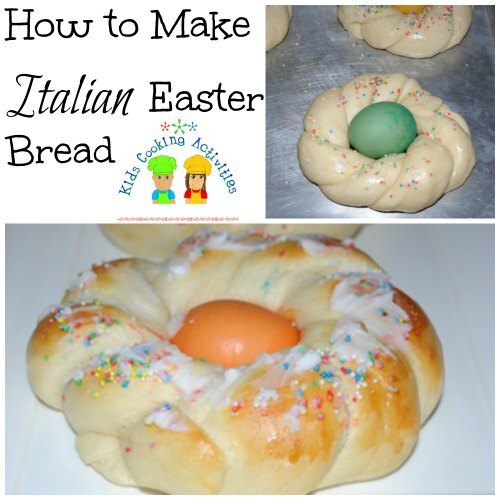 This Easter bread recipe is fun to create during Easter time with kids. 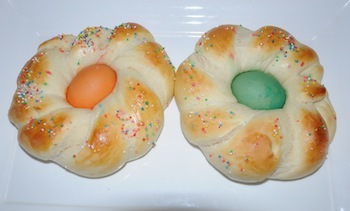 Before you start your bread recipe dye eggs in various colors and set in the fridge until needed. In a small bowl combine warm water and yeast. Sprinkle a little sugar on top and set aside. In a mixing bowl, add warm milk, shortening, salt, eggs, sugar and vanilla. Blend together until smooth. Add 3 Cups of flour and yeast mixture and blend together. Continue to add the remaining flour 1 Cup at a time until dough forms a ball. Knead in fruit and almonds if using. Knead 3-4 minutes longer and place dough in a large oiled bowl to rise for 1 hour. 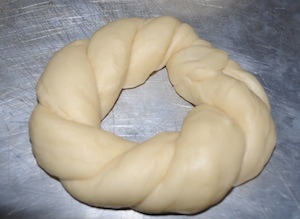 After 1 hour, take off pieces of dough and roll into ropes. Braid two ropes together. 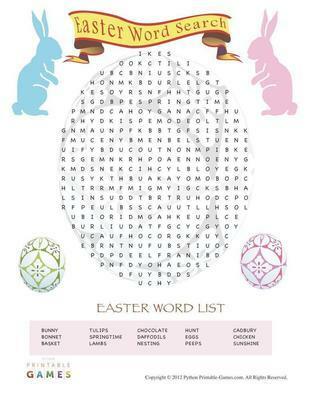 Place two ends of rope together forming a wreath. 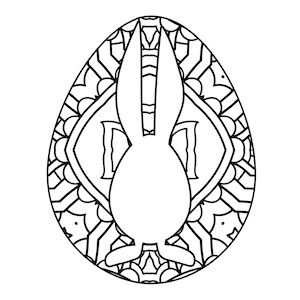 Place on a cookie sheet. 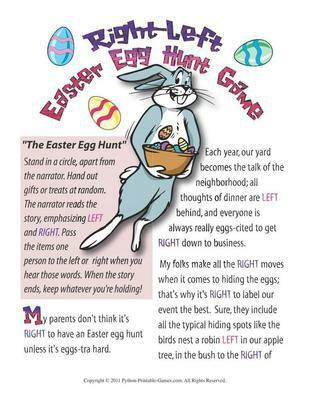 Place a colored egg in the middle of the wreath. Let rise 20 minutes. In a small dish crack an egg white and discard the egg yolk. 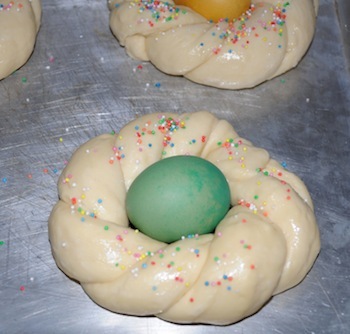 Brush the tops of each wreath with egg white and add colored sprinkles to tops. Bake at 30 minutes or until golden brown. Add a drizzle of frosting if desired. 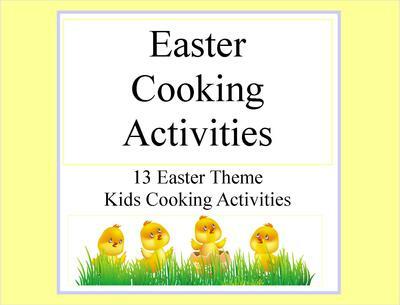 * We recommend boiling your eggs first instead of using raw colored eggs however you can color your eggs raw, carefully, and then let them cook in the oven. 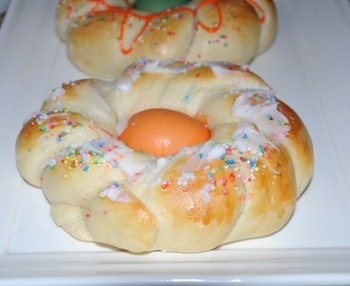 *You can also make a large wreath or braided loaf with three ropes and tuck eggs within the braids.